With an upbringing in a musical family, Jess took up drum lessons from age 7 and decided it wasn't enough. She wanted to write songs and began finding her true musical passion after learning her first guitar chords, aged 11. Jess decided to teach herself guitar, developing techniques to create a new sound that combined her percussive roots with her drive to produce moving melodies. Jess went on to study music at Lancaster University and shortly moved to London after graduating to explore the music scene of the capital. Her innovative, folk influenced songwriting has been said to enchant audiences, drawing comparisons with the likes of Ben Howard, Lucy Rose and guitarist Andy McKee. 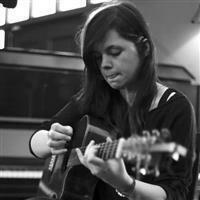 Jess has featured regularly at Sofar Sounds sessions in the UK and South America.